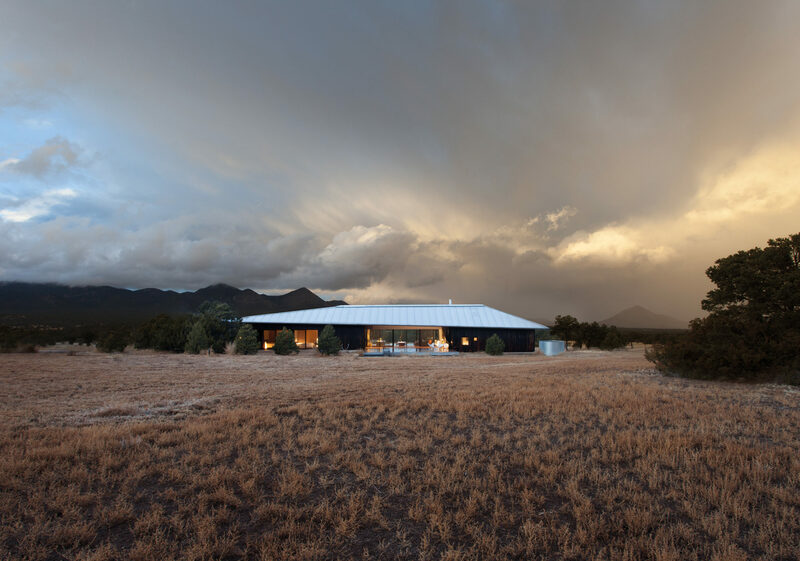 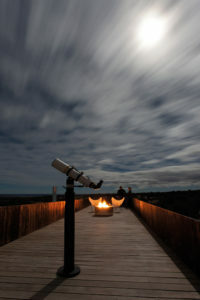 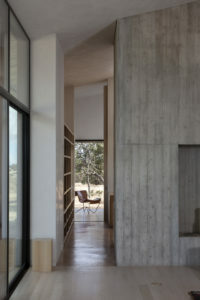 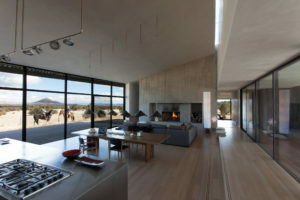 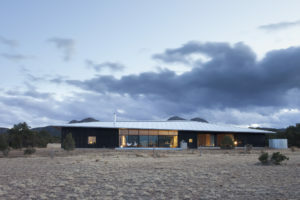 In the high desert of New Mexico, this six-bedroom family retreat settles easily into the textures of the surrounding landscape. 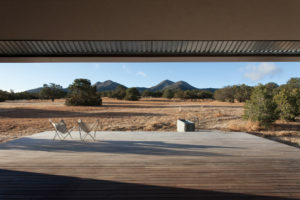 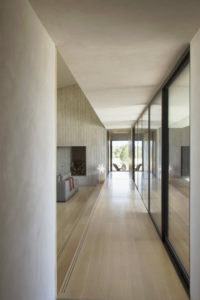 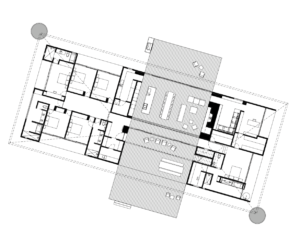 Even as a wooden deck divides the house’s spaces into two wings—one for private spaces and the other for guests’ rooms—spatial coherence and materiality bring them together. 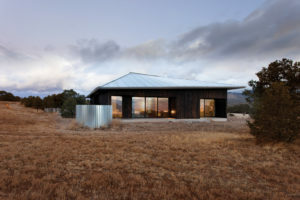 A single corrugated sheet-metal roof caps both of the volumes and hides a roof deck that reveals the night sky.